On Tuesday, March 26, the New York Times reported on the decision from a German court ordering German magazine Der Spiegel to pull passages of an article for unsupported allegations. Der Spiegel published a feature on the People’s Mujahedin Organisation of Iran (MEK) last month. In it, the magazine made brazenly false allegations that the group engages in activities that amount to torture. In a statement, the group categorically denied the allegations. 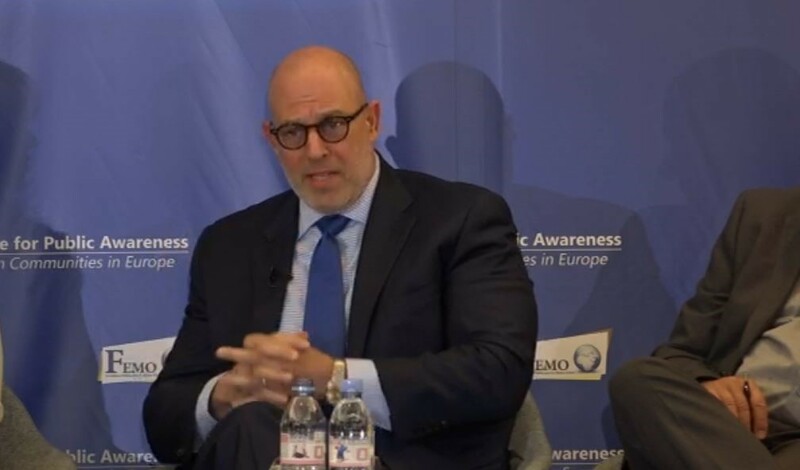 The MEK accused the publication of promoting the Iranian regime’s international objectives and deliberately participating in the mullahs’ disinformation campaign against the political opposition. In the piece, Der Spiegel accused the MEK of practicing massacres and torture at its compound in Albania. It also accused the group of holding members against their will. Both are claims often repeated by the Iranian regime. The regime wants to sway international opinion against the political opposition. The MEK is a pro-democracy group that stands opposed to the mullahs’ brand of religious fascism. By painting MEK members as bloodthirsty savages, the regime attempts to legitimize its violent terror campaign and assassination attempts against the MEK membership both within Iran and abroad. The MEK, upon hearing of the article’s impending publication and its contents, invited Der Spiegel’s journalists to visit its compound in Albania and witness the conditions there for themselves. They refused. Had they have taken the MEK up on its offer, they would have seen that they do not engage in the activities they stand accused of. International court cases brought against the MEK by regime stooges for allegedly holding members against their will have been dismissed. This information is widely available online. Even a rudimentary observance of basic journalistic fact-checking principles would have revealed many of the allegations laid out in the article to be categorically false. But Der Spiegel published it anyway. There were also indications that the magazine conspired with the Iranian regime in the publication of the hit piece against the Iranian opposition group. Before the article was published, sections appeared on an Iranian state-affiliated website. A journalist working on the piece was also hosted in Iran and granted access to the regime’s Islamic Revolutionary Guards Corps (IRGC). A court in Hamburg ordered Der Spiegel to remove the unsupported allegations from its website. The magazine will have to pay a 250,000 euro fine (US$282,000) if it fails to adhere to journalistic standards, and repeats the claims on any of its publications. In the age of fake news and rampant disinformation online, the ruling represents a victory for truth and justice. Western media outlets must be held accountable for journalistic standards. Their reporting can have very dangerous implications for political groups like the MEK, who are a constant target of Iranian state-sponsored violence and terrorism. The media must remain a guardian of truth, not a political mouthpiece. Der Spiegel has demonstrated that its lack of commitment to truth, instead choosing to become a political tool to a violent and repressive foreign dictatorship. 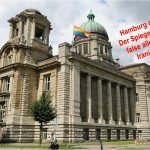 The court in Hamburg rules against the spread of false information against MEK, Iran’s main opposition. 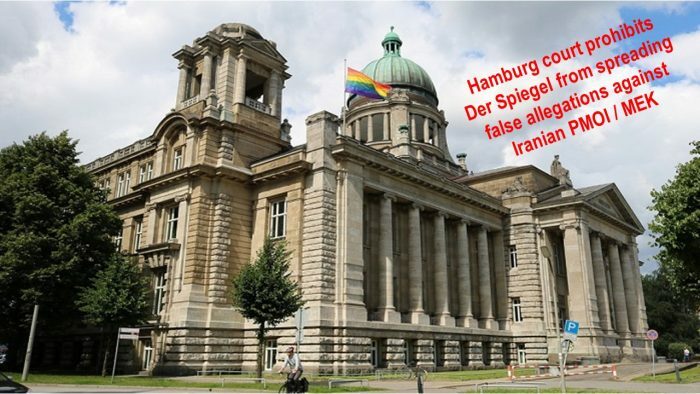 A Hamburg court struck a blow to the Iranian regime’s misinformation and demonization campaign against the People’s Mujahedin Organisation of Iran (MEK). 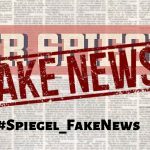 On Thursday, March 21, a Hamburg court ruled that German Magazine Der Spiegel acted illegally by spreading false accusations against the MEK. It determined that the magazine had failed to adhere to the basic principles of journalism and adequately fact check information it received from the clerical regime in Iran. In an article published in the magazine on February 19, Der Spiegel printed a host of lies and falsehoods about the Iranian pro-democracy organization. In particular, it repeated regime lies that accuse the MEK of engaging in brutal violence and torture, which were proved to be incorrect, the court order says. 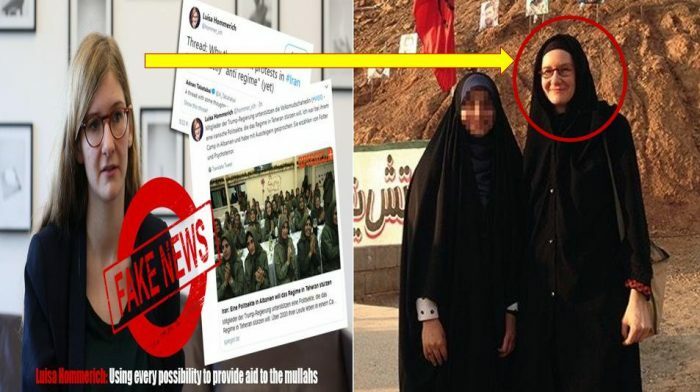 The MEK pointed out that Der Spiegel’s “journalist” who researched the piece, worked closely with the Iranian regime and Islamic Revolutionary Guards Corps (IRGC). The magazine also ignored the MEK’s requests to visit its compound in Albania, Camp Ashraf, the alleged site of torture and violence. Der Spiegel’s unwillingness to visit the MEK’s site at the invitation of the group demonstrated a lack of interest in uncovering the truth and reality of the situation in Albania. It showed the magazine preferred to spout fabrications at the behest of the Iranian regime. Part of the article was even published before its release on a website controlled by the Iranian Ministry of Intelligence (MOIS). This illustrates the deep cooperation between Der Spiegel and the clerical regime. Following the article’s publication, the National Council of Resistance of Iran (NCRI), the umbrella organization which includes the MEK, applied for an injunction in the Hamburg courts against the magazine. The court determined that Der Spiegel’s investigation methods did not meet national journalistic standards, making the information unlawfully reported. The court threatened Der Spiegel with a €250,000 fine. In the event that the magazine cannot, or will not, pay the fine, the court invoked a custodial sentence of up to six months. Der Spiegel removed the illegal statements from its article online. The original article repeated regime mistruths and lies. It was welcomed by the regime’s state-run media. The Mehr and Fars news agencies both ran pieces echoing Der Spiegel’s claims to much fanfare and many other Iranian media outlets published translations of the article. As a result, the ruling in Hamburg must be viewed as a victory. Not just for the MEK, but for truth, democracy, and stability both in Iran and in the West. The regime must not be permitted to hijack Western media outlets to advance its own objectives and undermine regional security. It is our collective responsibility to challenge regime lies, wherever they occur. 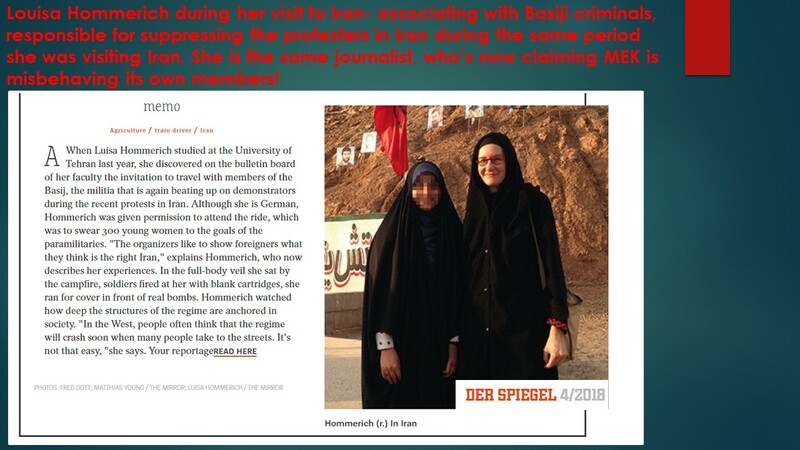 Louisa Hommerich, DerSpiegel writer who traveled to Iran and studied there for two years and earned the Iranian regime’s trust to a degree that she was given permission to participate in Basij military practices. Basij forces, part of the Iranian regime’s repressive forces, responsible for cracking down on protesters in Iran. The German magazine Der Spiegel in an article on Feb. 16, 2019, entitled “Prisoners of the Riots”, gave a very unfair report on the People’s Mujahedin Organisation of Iran (MEK) and its new compound, Ashraf 3. 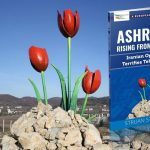 The group, which is the largest and most serious opposition force to the Mullahs’ ruling regime, relocated to Albania on the site of Ashraf 3 following intense persecution and violent attacks in both Iran and Iraq. The Der Spiegel article is based on the widely discredited and false testimony of ex-members of PMOI (MEK), who today openly serve the Ministry of Information and Security (MOIS) of the Iranian regime. For a better understanding of the issues raised in this article, we need to have a brief look at the regime’s history and origin. The clerical regime’s leadership from Khomeini to Khamenei had decided that the survival of their regime depended on the physical annihilation of the PMOI (MEK) members and their supporters. To make this a reality the Ministry of Intelligence and Security of the mullahs decided to create an “Anti- Hypocrisy Division”(the derogatory name used by the regime to describe its main opposition) and has steadily advanced this policy for the past 30 years inside and out of Iran. The regime adopted a two-pronged approach to eradicating the MEK. The mullahs carried out the arrests, imprisonments, torture, and execution of MEK supporters inside Iran. Simultaneously, they embarked on an extensive propaganda campaign to demonize the group through the dissemination of fake news and false allegations abroad. False allegations made against the MEK included tales of the imprisonment and torture of members who left the group, compulsory divorce of members and the disintegration of the family unit, restricted communication with the outside world, and the existence of a financial-political association with Saddam Hussein. Alongside these serious and malicious accusations, the MOIS carried out assassinations of key figures in the Iranian resistance group. It killed Prof. Kazem Rajavi, Mohammad Hossein Naghdi, Zahra Rajabi. The MOIS also attempted to kidnap many other activists connected to the MEK. Those that followed the events during the political phase (1980-1981) will remember Khomeini’s statements about the MEK. Khomeini used to say that “PMOI (MEK) members are worse than infidels,” and he even referred to MEK as the “enemies fifth column” during the destructive Iran-Iraq war. 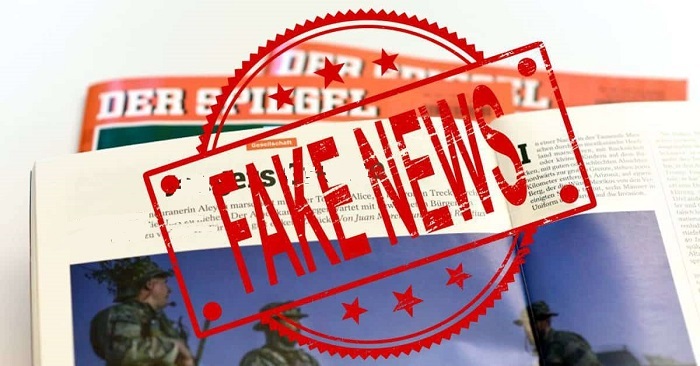 False and negative allegations about the MEK that have been published on international media outlets like Der Spiegel, started with the inception of this regime and the roots of the allegations can be traced to the intelligence and security apparatus within the Iranian government. 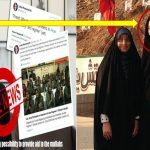 The MOIS uses paid agents under the guise of ex-MEK members, former political prisoners, activists, researchers, authors, and journalists to spread the falsehoods and allegations as part of a large-scale disinformation campaign. In the Der Spiegel article, we see the same pattern of reporting visible in other regime hit pieces. The Der Spiegel article that was scheduled to be published on November 24, 2018, was delayed, without explanation for around three months. Its final publishing date coincided with the Warsaw conference. The hit piece was likely designed to overshadow the political victory of the resistance and help the Mullahs regime in the international arena. A Persian translation of Gholamreza Shekari’s interview (An agent of MOIS), which was included in the final Der Spiegel article, was posted on a Ministry of Intelligence website on November 24, long before the full text was published on the Der Spiegel site, indicating that there had been extensive collaboration between the MOIS and Der Speigel’s writers and “journalists”. Journalism is responsible for informing society. The facts they report help shape public opinion. Therefore, journalists have the moral obligation to work within a strict ethical framework. Journalism should question and criticize where appropriate. It should challenge inaccuracy wherever it finds it and stands committed to the pursuit of truth. Journalists have the obligation, at least in the fact-finding stage of investigations, to observe neutrality and remain objective until the facts are revealed. This is one of the main criteria of the ethics of journalism. According to evidence and photographs available, the author of the Der Spiegel article, Ms. Louisa Homerich, studied in Iran for two years and spend a significant amount of time in the country carrying out research for the piece. It is not possible for a foreign citizen to spend so much time in Iran without the direct coordination and approval of the regime intelligence agencies. During her stay in Iran, she enjoyed the hospitality of the revolutionary guards and was allowed to accompany the Women Basseij forces on a military maneuver called “Women on Path of Light”. She last visited Iran in January 2018. Her extended stay in Iran, including her university studies, and close ties to the political, military and security apparatus in the country have raised serious questions over her “impartiality” and the agenda behind her reporting on the Iranian opposition. Louisa Hommerich studied in Iran and was trusted enough to be given the chance to participate in Basij (Notorious security forces responsible for repression of Iran Protesters) in their tactical maneuvers. 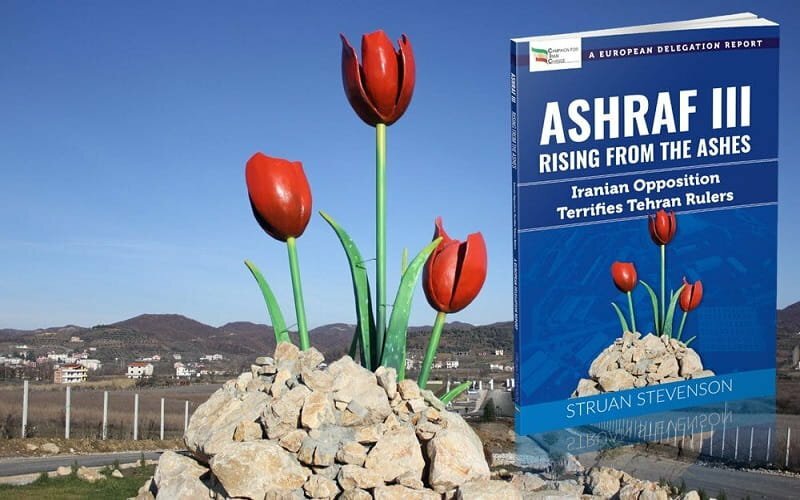 Upon becoming aware of the intentions Ms. Homerich and the upcoming Der Spiegel article, the National Council of Resistance of Iran, the umbrella organization of the MEK, in Germany tried to contact the magazine on several occasions to invite them to Ashraf 3 in Albania. The NCRI invited Der Spiegel to send reporters to speak to the residents in person and continue their fact-finding endeavor. However, the NCRI’s calls remained unanswered. Instead of interviewing current members of the MEK, Der Spiegel drew conclusions based solely on the testimony of individuals who have actively sought to vilify the Iranian opposition at the behest of the mullahs for years. As expected, they cited false information and fake documents that contradict publicly available court documents. The end result is an article lacking a shred of truth or credibility. In the article, a person named Mostafa Mohammadi is referred to as a witness. He is another known MOIS operative and regime insider. He has been claiming for years that his 39-year-old daughter, Somayeh Mohammadi, is being held captive by the MEK! Mostafa Mohammadi filed complaints in Canadian, Iraqi and Albanian courts seeking the “release” of his daughter from “the clutches of Rajavi’s cult”. All three courts ruled that the claims were baseless and rejected his complaint. 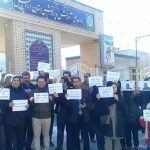 Another person referred to as a witness in this article is Gholamreza Shekari, who claims he was a member of PMOI/MEK for 27 years and was jailed and tortured by the group 24 years ago. He claims the group brainwashed him and that is why he remained with the organization after the torture took place! Mr. Shekari admits that he kept receiving monthly financial help from MEK for as long as he had not visited the regime’s embassy. The financial help was discontinued after his ties to the regime were revealed. He is now an active intelligence operative advancing the vilifying policies of the regime against the MEK. His interview with Der Spiegel appeared in several MOIS websites three months prior to Der Spiegel published its article! In the end, it should be noted that the author of the article “Prisoners of the Riot”, in repeating the persistent falsehoods and lies of the Mullahs regime’s security apparatus served to further the Iranian regime’s propaganda objectives. It violated the core principles of journalism and sought to demonize a pro-democracy group fighting for the fall of the tyrannical religious fascism of the mullahs. Stevenson describes how Der Spiegel’s unsupported and blatantly false claims were made all the worse as the magazine had been invited to visit Ashraf III, but editors rejected the invitation. 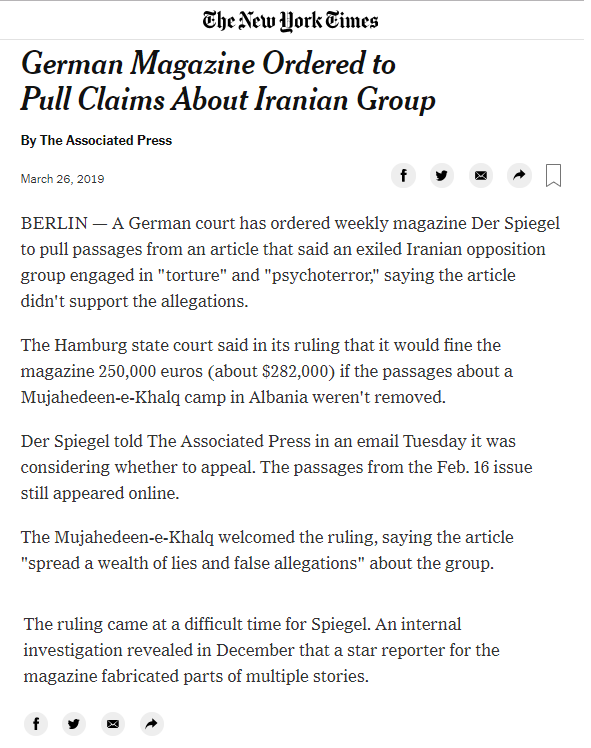 Any print journalist would know that to carry out due diligence as a reporter and publish a piece with journalistic integrity, Der Spiegel had the responsibility to accept the MEK’s invitation and send reporters to Ashraf III. If they had, they would have immediately seen the claims for the lies and propaganda that they are. Stevenson visited Ashraf III in 2018 and knows first hand what goes on in the camp. “This kind of horrible fake news and attempts to blacken and demonize the PMOI (MEK) simply plays into the hands of the mullahs,” Stevenson continued. “Not a mention in that article about the human rights atrocities that go on, on a daily basis, not a mention of the 30,000 political prisoners summarily executed in 1988,” he added. When it publishes hit pieces against the pro-democratic opposition, the international media ignores these atrocities and becomes little more than a mouthpiece for the Iranian regime, attacking the opposition and glossing over the regime’s own violent deeds. Stevenson doesn’t lay the blame squarely at the foot of the media, although it has a lot to answer for. His book is also heavily critical of Europe’s institutions. He criticizes Federica Mogherini, the EU’s High Representative for Foreign Affairs, for what he calls, “her continued attempts to appease the mullahs” and ignore their blatant human rights abuses in Iran. For Stevenson, her inaction has been inexcusable. “They [the mullahs] have used their own so-called diplomats in Europe to perpetrate acts of terrors, trying to commit atrocities on European soil!” he exclaimed. Stevenson asserts that Europe and international governments are faced with a choice; they can choose to back the violent dictatorship in their repression and human rights violations, or they can back the Iranian people in their fight for freedom and democracy. The ruling regime in Iran uses social media networks and international newspapers and magazines to spread mistruths and lies concerning the Iranian opposition movement. Along with state-sponsored terror, the clerical regime uses it as a weapon to undermine and discredit the opposition and sway public opinion against the principal opposition, the People’s Mujahedin Organisation of Iran (MEK). The latest hit piece, an article published in Germany’s Der Spiegel magazine entitled “Prisoners of Their Own Rebellion”, spouted a list of usual regime talking points and falsehoods. The allegations cited in the piece have been publicly discrediting numerous times, including by international courts, political figures, and legislative bodies. The statement of the members of the MEK says, Der Spiegel recently suffered a journalism scandal when an editor, Claas Relotius, was caught fabricating stories. Now, just weeks later, further questions have been asked of the publication’s journalistic integrity. The magazine published its hit piece against the MEK after interviewing sources within the regime and affiliates of Iran’s Ministry of Intelligence (MOIS). A trainee correspondent spent time in Iran with the regime’s Islamic Revolutionary Guards Corps (IRGC) and Basij forces. The MEK extended an invitation to the magazine’s editor, offering to permit its journalists to visit the MEK’s compound in Albania. Despite persistent invitations, Der Spiegel declined, preferring instead to write its piece on the opposition group without speaking to anyone from the organization itself. The end result was a piece lacking fundamental accuracy. It demonized the MEK and ignored the regime’s widespread and rampant human rights abuses. There was no mention of the 12,000 political executions, 500 plotted terror attacks abroad, and massacres of MEK members carried out by the regime. The hit piece is more than just an example of shoddy and inaccurate journalism. By demonizing the MEK, the Iranian regime is able to lay the groundwork for a new massacre, much like those that took place in 1988 when the regime killed 30,000 MEK members, and those that happened at Camp Liberty and Camp Ashraf in Iraq, states the MEK members in their statement. If it can rob the MEK of its support through slanderous hit pieces like those that have appeared in Der Spiegel and The Guardian, the regime believes it will be able to kill and maim MEK members across the globe with impunity. The only explanation behind Der Spiegel’s deliberate and contrived rejection of even basic journalistic fact-checking principles is that the regime offered tantalizing incentives in exchange for Der Spiegel turning a blind-eye to the facts. Why isn't #Spiegel giving us any answers? Why the silence? For example, in the piece, Der Spiegel alleges that former MEK members have described how the group regular practices slitting throats and jabbing out eyeballs. However, the German Federal Office for the Protection of the Constitution (BfV) has repeatedly warned that the MOIS recruits former MEK members and coerced them into publicly criticizing the group. The MEK sent Der Spiegel’s editor the BfV’s findings, however, these falsehoods still appeared in the final article. The testimonies of the so-called “defectors” also expose glaring holes in their narrative. For example, Gholamreza Shekari, one of the “defectors” interviewed in the article, claimed the MEK tortured him in 1994. However, he remained with the MEK until 2016, despite meeting regularly with officials from the US, Iraq, the UN and the UNHCR. If we wanted to leave and the group’s members had “tortured” him, as he claims, why would he not leave sooner? The statement of the member of MEK stationed at Ashraf III in Albania, calls on the international community to stand against the promulgation of lies and inaccuracies wherever they occur. Der Spiegel must be called out for publishing such an inflammatory and damaging piece, and it should be warned that in publishing a piece of this nature, it is complicit in the regime’s human rights abuses and international terrorism. Alejo Vidal-Quadras, a Spanish professor of atomic and nuclear physics and a former vice-president of the European Parliament, published an op-ed for the Eurasia Review. His op-ed highlights the Iranian regime’s obsession with the democratic opposition and the extraordinary lengths it will go to discredit and vilify them in the international media. Vidal-Quadras expressed concern that those reading Der Spiegel’s article who are not familiar with the Iranian regime and its blatant attempts to discredit pro-democracy groups in Iran and abroad would fall victim to believing the regime’s lies. “They do not realize that every item on the list can be traced back to the Iranian Ministry of Intelligence and other purveyors of Iranian propaganda,” he said. Since the regime’s inception, the mullahs have devoted time and resources to spreading falsehoods and lies about the MEK and its members. The regime has systematically rounded up and killed members of the MEK. In 1988 alone, the regime killed around 30,000 MEK members, burying them in unmarked mass graves. But according to Vidal-Quadras, events like the 1988 massacre “only scratch the surface of the Iranian regime’s violence against political dissenters.” In total, more than 100,000 members of the Iranian opposition have met their end at the hands of the regime. Many were tortured in custody, then hanged. In many cases, they were assassinated by agents while living in exile abroad. The regime has also coordinated terrorist attacks against the MEK. Last year, a Belgian-Iranian couple was arrested while traveling to the MEK’s Grand Gathering event in Paris with homemade explosives. The regime also coordinated terror plots against the MEK in Albania and the US. Vidal-Quadras explains the regime’s obsession with the democratic opposition as the result of a deep concern over the capabilities of the MEK. The group has drawn a great deal of international support. At its annual Grand Gathering event, it draws crowds of more than 100,000 supporters and high-profile political figures from across the globe, including Trump’s personal lawyer and former mayor of New York, Rudy Giuliani. Within Iran, the MEK has a vast network of resistance cells across Iran’s towns and cities. The group was responsible for coordinating many of the protests that quickly spread across Iran in 2018. Its groups counter the regime’s lies, oppression, violence, and human rights abuses wherever they occur and enjoy widespread popularity across the Iranian population, especially among young Iranians. Vidal-Quadras concludes, “in contrast to the picture that Tehran has tried to paint of the Iranian democratic opposition, the NCRI (and MEK) President Maryam Rajavi has outlined a 10-point plan for the country’s future.” In her plan, Maryam Rajavi provides a detailed roadmap for the country’s transition to democracy, including the holding of free elections, respect for human rights, the separation of religion and state, and a commitment to gender and ethnic equality. On Thursday, the Parliamentary Committee for a Democratic Iran at the French National Assembly held a conference, entitled “Iran Perspectives: 2019.” The event called for a firm policy in Europe toward the Iranian regime in light of its terrorist activities on European soil and its human rights abuses of its own people. Mrs. Maryam Rajavi was one of several speakers at the conference. 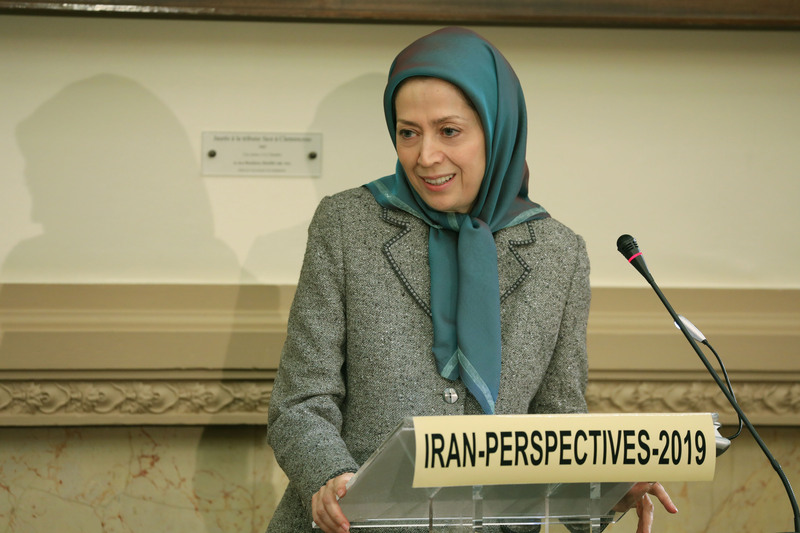 In her speech, she refuted the idea that moderates exist in the Iranian regime, then discussed the regime’s terrorist activities in Europe, the role of the MEK in the ongoing protests in Iran, and the regime’s demonization campaign against the MEK. 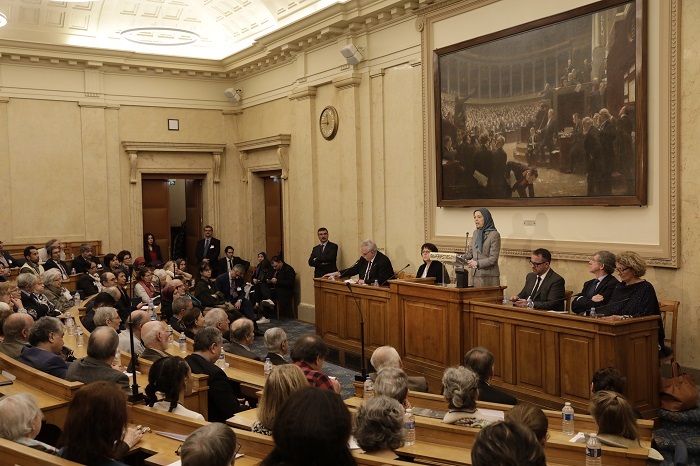 She also urged the French government to recognize the right of the Iranian people to rise up and overthrow the mullahs’ regime and create a free Iran. 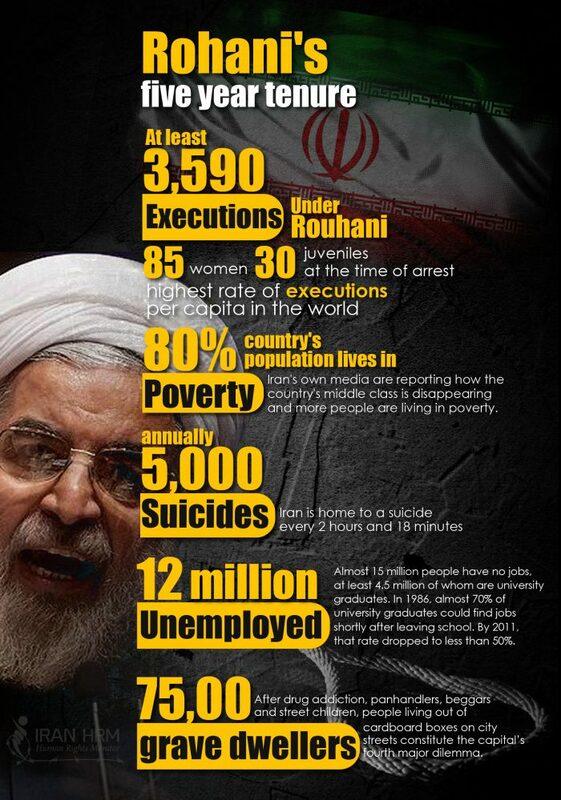 Rouhani’s record on violations of human rights during his tenure. She then enumerated the many terrorist plots by the regime that have occurred under Rouhani’s leadership: “He assigned his Ministry of Intelligence and diplomats to launch a major terrorist operation against the Iranian Resistance’s grand gathering in Villepinte. The sanctions imposed on the mullahs’ Intelligence Ministry by France and the European Union further confirmed that Rouhani’s government was the perpetrator of the plot. Mrs. Rajavi argued that it is clear that Rouhani is no moderate and that the time for appeasing Tehran is passed. “Turning a blind eye to the Iranian Resistance is not only to the detriment of the people of Iran but also to the detriment of the Middle East and the world who are in this way deprived of the key to the Iranian problem,” Rajavi said. Under increasing pressure at home, the Iranian regime has intensified its misinformation campaign against the People’s Mujahedin Organisation of Iran (MEK). The Iranian regime faces widespread protests each and every day. 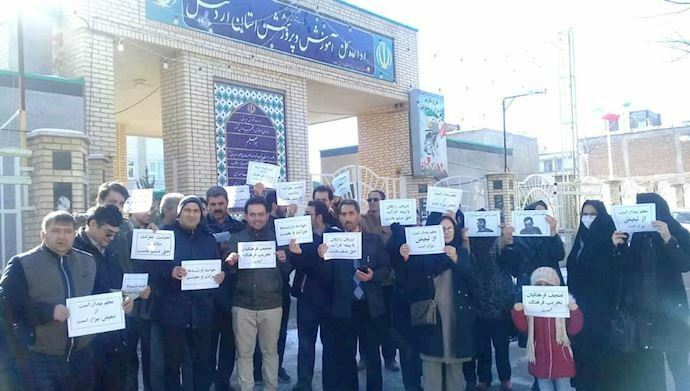 Since Sunday, there have been nine protests across the country attacking the mullahs’ mismanagement of the economy, soaring inflation, and unpaid wages. These are the latest developments in a wave of protests that have washed across Iran over the last 14 months. What began in a nationwide uprising at the tail end of 2017, shows no sign of letting up. An “army of hungry and unemployed” Iranians are taking to the streets and calling for regime change. Youth unemployment is above 50%, Iranian purchasing power is falling, and wages are stagnating. Iranians are struggling to put food on the table, meanwhile, the mullahs are living lavish lifestyles, funneling money to militia and terrorist groups abroad, and spending vast sums on clandestine missile programs. Rather than look inward at its own failings, the clerical regime has looked outwards and responded to the intensifying protest movement by cracking down on political opponents. As sanctions start to bite, targeting the regime’s oil revenue and crippling its finances, the regime has intensified its attacks on the MEK, the largest and most organized pro-democracy group who has played a crucial role in mobilizing the population. The regime has deployed a misinformation campaign targeting the opposition group. Last year, Twitter removed 770 regime-affiliated accounts that the mullahs were using to spread disinformation about the MEK. A separate investigation from Reuters found that the Iranian regime used more than 70 websites to spread anti-MEK propaganda across the world, many of which are still in operation today. The mullahs’ latest attacks have come through Western media outlets. Its most recent hit piece against the MEK has published in German magazine Der Spiegel. As with previous hit pieces, including one published last year in the UK’s Guardian newspaper, the regime uses former members of the MEK to spread lies and deceit about the group, often touting the frequently disproved claim the MEK is a violent group that keeps members against their will. The pieces usually allege that the MEK is not a threat to the regime and does not command the support of the Iranian population. This begs the question if the MEK is not a threat, why does the regime devout such resources and time to attacking them online, in print, and through violent terror attacks and assassinations? 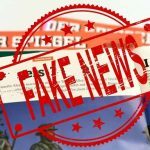 The regime’s most recent propaganda piece in Der Spiegel made no less than 60 false claims against the MEK. Its publication raises questions, not only about the regime’s conduct but the journalists and editors that failed to carry out even basic fact-checking procedures. If they had vetted the information, they would have found that many of the allegations and baseless lies have been debunked many times in courts around the world. What is perhaps more troubling is that while the world’s media laps up the regime’s bile and propaganda, frequent and severe human rights abuses are going unreported in Iran. Political, environmental, and human rights activists suffer attacks, arbitrary detention, and torture at the hands of the regime’s agents, yet the international media let them pass unnoticed. The regime has a rich history of repressing, silencing, and exploiting its population. Iran has endured 40 years of regime rule and has come to expect it from the mullahs. But now, the international media and Der Spiegel is doing the same thing. Repeating the regime’s lies and failing to hold the mullahs to account for blatant and barbaric human rights abuses is tantamount to being an accomplice in these human rights abuses. It is the international media’s role to give voice to the downtrodden and stand up for justice. Instead, in its most recent piece, Der Spiegel gave voice to the oppressors and only served to tighten the shackles the Iranian people find themselves in. 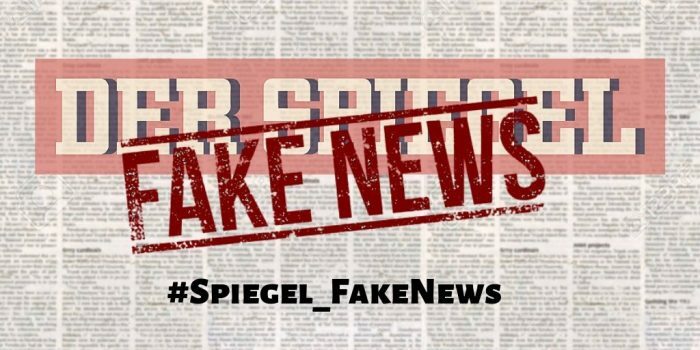 Der Spiegel, a German magazine, published a hit piece against the People’s Mujahedin Organisation of Iran (MEK) and the National Council of Resistance of Iran (NCRI). The piece, entitled “Prisoners of the Rebellion”, went to press on February 16 and contained a host of mistruths and lies about the Iranian opposition groups. The article spouted the regime’s propaganda without meeting even the basic principles of journalistic integrity. 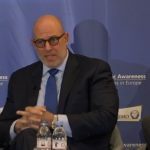 The authors declined to visit the MEK’s compound in Albania and ignored correspondences with the NCRI in which the pro-democracy group sent documents disproving the regime’s allegations. Instead, the writers spent time with the regime’s Basij agents in Iran, interviewed members of the regime’s Ministry of Intelligence (MOIS) disguised as former MEK members without dealing with the group itself directly. Nothing demonstrates that the piece was little more than a poorly-informed hatched job against the MEK more than the timing of the piece. In a statement released following the article’s publication, the NCRI revealed that it had been in communication with Der Spiegel’s deputy foreign editor, Mr Mathieu von Rohr, who had confirmed that the article was due to be published on November 24, 2018. The article’s publication was delayed until “a time that the Iranian regime needed such “support,” the NCRI’s statement read. The recent conference in Warsaw which saw more than 60 governments from nations around the world come together to explore ways of dealing with the Iranian threat clearly prompted Der Spiegel to believe that this was the time the regime needed the “support” the article could lend. The article was immediately picked up by all the Iranian state-run media outlets, which centered their coverage on the baseless allegations that the MEK carried out massacres and brutal acts of torture at its base in Albania. The NCRI’s statement shows that the MEK and the NCRI had been in contact with von Rohr in the run-up to the article’s publication and were aware of the allegations about to be levied against them. In a gesture of transparency, the MEK invited Der Spiegel to visit the group’s residence in Albania. The group frequently invites politicians and dignitaries to the compound, most recently former Scottish MEP Struan Stevenson and former Bundestag President Rita Sussmuth both visited the compound. However, Der Spiegel did not reply to the group’s invitation. The magazine clearly had no inclination of getting to the truth of the matter and instead preferred to accept the regime’s lies at face value. The regime sent a letter instead. The NCRI’s statement claims that Mathieu von Rohr sent a letter with ten questions for the MEK and gave a deadline of one week for the group to answer said questions. 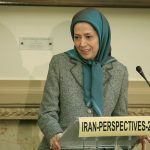 The NCRI’s statement reports that the questions included several regime-originated mistruths and propaganda statements. For example, the first question asked if MEK members were not permitted to use cell phones, clocks, and calendars, an often-touted regime lie. The NCRI and MEK replied to the ten questions in a 6,600-word reply just four days later. In this letter, they once again extended an invitation to Der Spiegel and implored them to visit the MEK compound. Given that this letter was sent on November 18, and the final article was not published until February 16, there was ample time for Der Spiegel to dispatch reporters to the compound to conduct journalistic due diligence and investigate the regime’s lies. Although Der Spiegel did not publish the article on the intended date of November 24, it did share the article with the Iranian regime. On November 24, the Nejat Association, an offshoot of the regime’s MOIS published a Der Spiegel interview with former MEK member, Gholamreza Shekari. The interview was eventually included in the final Der Spiegel piece. The fact that the Iranian regime was able to publish segments of the article several months before Der Spiegel published the piece, demonstrates close ties and deep cooperation between the German magazine and the Iranian regime. Following the publication of the interview, in which Gholamreza, a close regime affiliate, repeated the regime’s usual lies, the NCRI reached out to Der Spiegel once more. The letter read, “what the Iranian people will not forget and will not forgive are the war crimes and the crimes committed by this regime against humanity.” The letter reiterated that these crimes had gone unnoticed and unreported by Der Spiegel. “The appeasement of the mullahs at the expense of the Iranian people and their suffering and the blood of hundreds of thousands of tortured and executed political prisoners are truly disgusting,” it added.